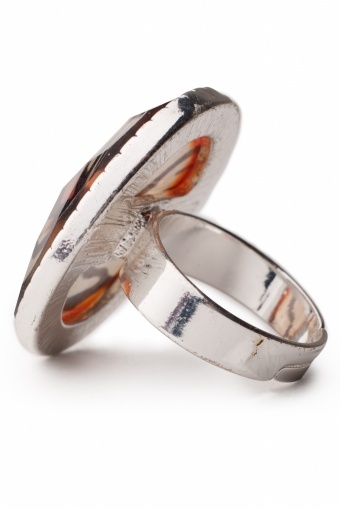 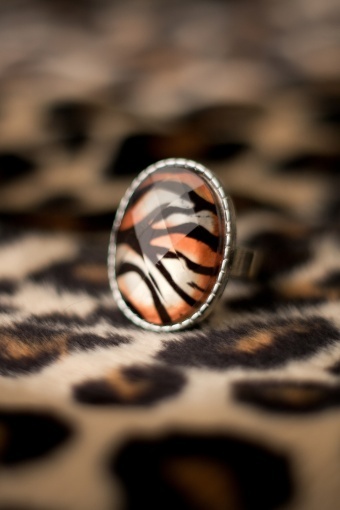 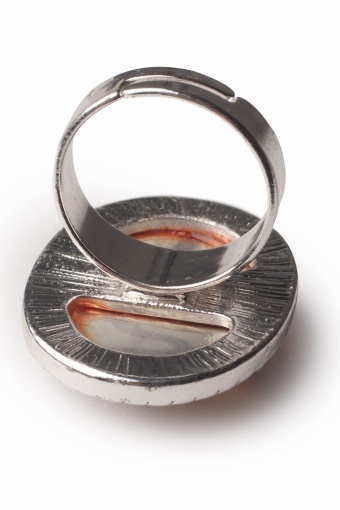 Silver Framed Tiger Stripe ring. 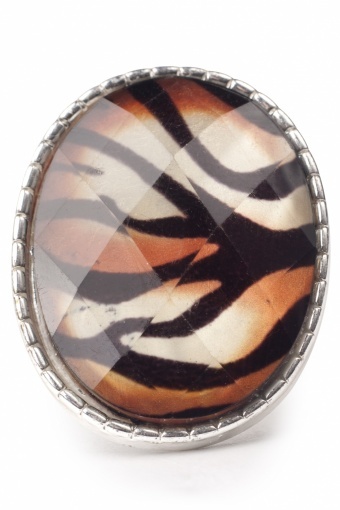 Fabulous combination of clear white silver toned metal with an image of tiger stripes in warm colours, with a subtle metallic luster under a clear faceted acrylic stone. 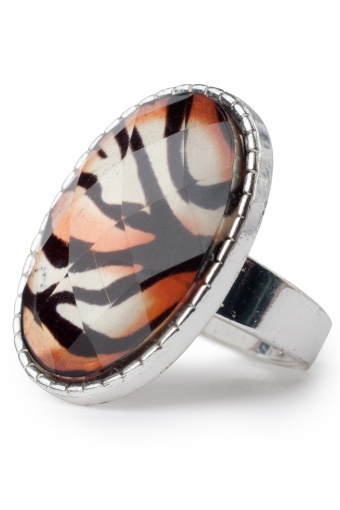 Sooo hot!